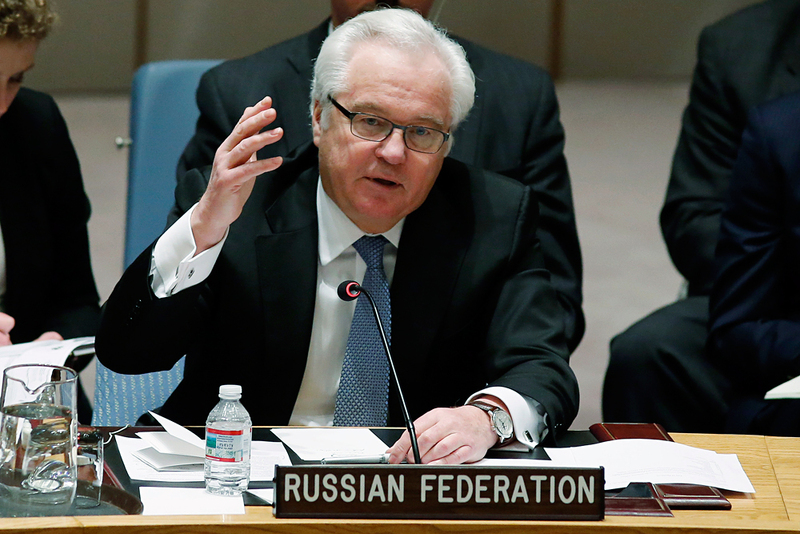 Vitaly Churkin died on Feb. 20. Russia’s former Ambassador to the UN Vitaly Churkin, who died on February 20 in New York, has left a bright impression in history of the Russian foreign policy and diplomacy, Foreign Minister Sergei Lavrov said at the farewell ceremony, TASS reports. "Today, we are saying farewell to our friend, an outstanding diplomat, man," the foreign minister said on Feb. 24. "Vitaly was the best professional and a national diplomat." Vitaly Churkin died on Feb. 20, a day before his 65th birthday. He had been Russia’s UN ambassador since April 8, 2006, representing the country in the United Nations Security Council. According to the Russian Foreign Ministry, the ambassador died while on duty.